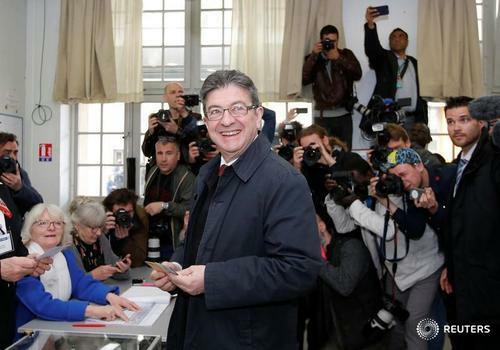 Reuters UKFrench overseas territories and French residents in the United States and Canada began voting on Saturday in France's presidential election, a day before the main first-round of a poll that could change the global political landscape. Reuters UKTurnout figures for the first round of the French presidential election showed a 28.54 percentage participation rate by midday local time, (1000 GMT) the Interior Ministry said on Sunday, slightly above the corresponding rate in the 2012 vote. France votes for a new president. Explore the polls with this interactive graphic. 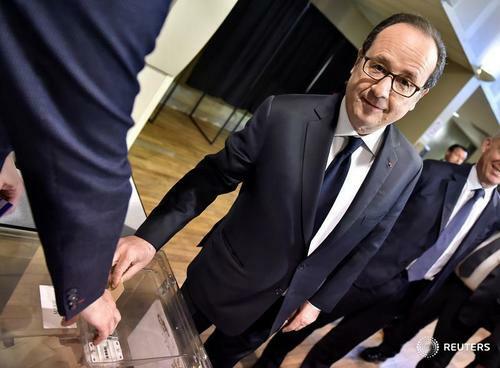 Mathieu Rosemain with a live update from Paris outside a polling station. EU bureau chief Alastair Macdonald reports live from Brussels with French voters to talk about the candidates and the impact of the French presidential election in Europe. ReutersFrance voted on Sunday in the first round of a bitterly fought presidential election that could define the future of the European Union, and is sure to be seen as a gauge of the anti-establishment anger that has brought upsets in Western politics. Turnout figures for the first round of the French presidential election show a 69.42 percentage participation rate by around 1700 local time (1500 GMT), the Interior Ministry said on Sunday, with the numbers down slightly from the last election. The latest turnout figure compares to 70.59 percent at the same time during the last election in 2012, 73.87 percent in 2007 and 58.45 percent in 2002. The final abstention rate in the first round of the French presidential election is likely to be around 20%, broadly in line with that of five years ago, according to two surveys published on Sunday. 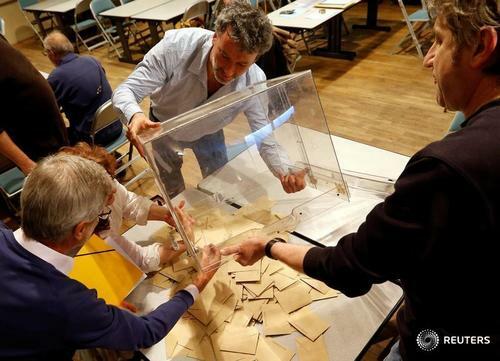 A survey from Harris Interactive estimated the final abstention rate at 21.5%, while one from Ifop-Fiducial for Paris Match and CNews put the abstention rate at 19%. In a sign of the interest generated by the most open French election in years, Reuters correspondent Sybille de la Hamaide reports from conservative Francois Fillon's HQ that nearly 600 journalists from all over the world are accredited to his campaign and more are expected. About a hundred supporters have been authorised to wait for tonight's results inside the HQ, which is surrounded by a significant security presence including airport-style screening gates. 90 minutes to go before main polls close but reminder that we may have to wait longer than in past years to get reliable projections because some of the first polling stations to close will do so later than in previous votes. The first round of France's presidential election may be too close to call when polls close on Sunday because initial projections will not be available as early as in the past, pollsters and their watchdog said on Friday. At the election rally of Emmanuel Macron, Reuters reporter @mrosemain finds evidence of the slick organisational style which propelled the centrist former banker ‘s campaign, but which some say might rankle with traditional voters. Press have green badges, Macron’s team pink badges and young "helpers" – with their yellow badges written in English - buzz around journalists to ask if they have any queries. Macron’s team expect about 3,000 to attend the rally at an exhibition centre. Downbeat tone emerging from Socialist Benoit Hamoin's election-night base, where the main concern appears to be whether alternative left-wing candidate Jean-Luc Melenchon will go through. "We hope the score will be worthy of this very fine campaign. We would hope to qualify but it doesn't seem to be the case," adviser Julia Cage tells Reuters correspondent Dominique Vidalon. Mathieu Rosemain reports from the Macron election HQ as supporters gather for the results of the first round. Reuters' Matthias Blamont says Marine Le Pen supporters are in confident mood in the National Front's northern stronghold of Henin-Beaumont, where hundreds of supporters and journalists are trying to enter a sports hall chosen for tonight's rally. Civil servant Delphine, 49, dismisses recent polls showing a tight race. "I totally reject the polls, I am confident for this evening and I can't wait to see the difference between the (results and the) figures which have been hammering us for weeks. For us it's clear - Marine is in the second round." Matthias Blamont reports from the Le Pen election party in the north of France. Belgian and Swiss media are carrying reports that unidentified pollsters believe Emmanuel Macron will reach the French presidential runoff but that it is unclear who his opponent will be. Some caution needed, however: France's official polling watchdog told Reuters last week the nine main pollsters had committed to refrain from carrying out exit polls and anything purporting to reflect results before the last polling stations close at 8 PM in France (1800 GMT) could only be a rumour at best. All the Belgian media stressed that the findings, whose sources they did not disclose, were provisional and subject to change. French centrist Emmanuel Macron has come out on top in the first round of France's presidential election with far right leader Marine Le Pen in second place, which means both have qualified for the May 7 runoff vote, pollsters projections from partial results showed on Sunday. Macron won 23.7 percent of the vote and Le Pen 21.7 percent, an Ipsos/Sopra Steria estimate showed. Macron got 23 percent of the vote and Le Pen got 22 percent in an estimate from Harris Interactive. 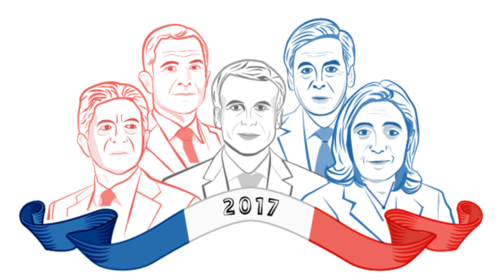 An Ifop estimate put Macron at 23.8 and Le Pen at 21.6 percent. France goes to the polls. "When Macron started his campaign they said that somebody who was not part of a major political party could not win the election. The fact that he did win shows the deep malaise in French society," says Macron campaign team member senator Gerard Collomb, mayor of Lyon. Defeated traditional parties lose no time moving behind Emmanuel Macron in an effort to block far-right National Front's Marine Le Pen: Socialist candidate Benoit Hamon urges voters to back Macron as strongly as possible in the second round after a "heavy defeat" for the left in the first. Former conservative prime minister Jean-Pierre Raffarin says: "Without hesitation, as far I'm concerned, we must unite behind Emmanuel Macron".